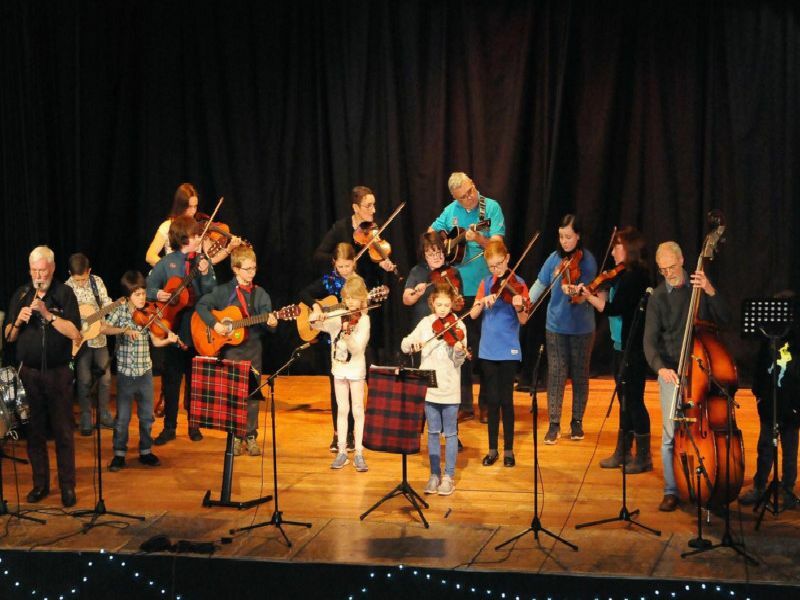 Selkirk youngsters showed what they have to offer the world of entertainment at Saturday night’s family concert at the town’s Victoria Halls. The show, compered by Graham Coulson and John Nichol, was opened by the town’s scouts and guides, with fantastic segments offered by the likes of Bannerfield Buskers, Junior Riddells Fiddles, Jimmy’s Drummers, young Scottish country dancers and members of Selkirk Musical Theatre Company giving a wee preview of their 2019 show. Raymond D'Agrossa, Robin Mitchell and Stuart Mitchell give the audience a fly taste of Made in Dagenham. Selkirk Musical Theatre Company members perform a few songs from Made in Dagenham, their show for 2019 .